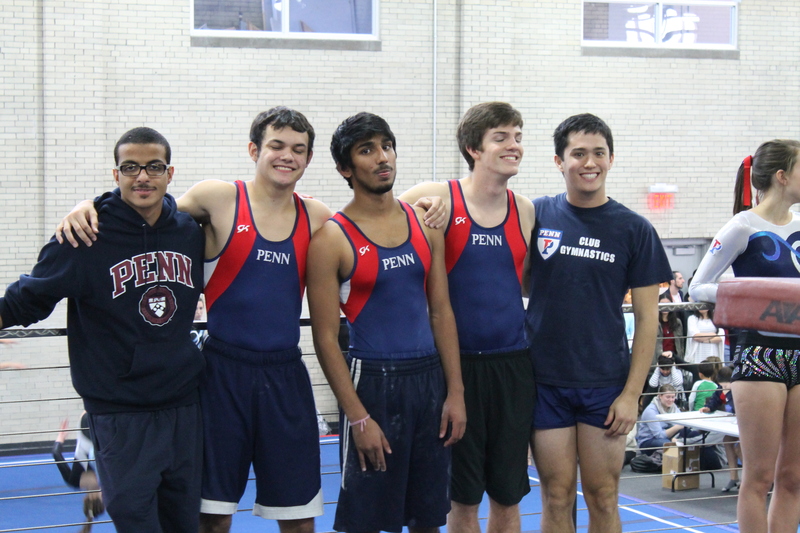 On Saturday, November 16, 2013 PCG hosted it’s annual home meet, Flipadelphia. The turn out was great! The attendees were Syracuse University, Emory University, University of North Carolina-Chapel Hill, Cornell University, Temple University, Binghampton University, Pennsylvania State University, and The University of Maryland. 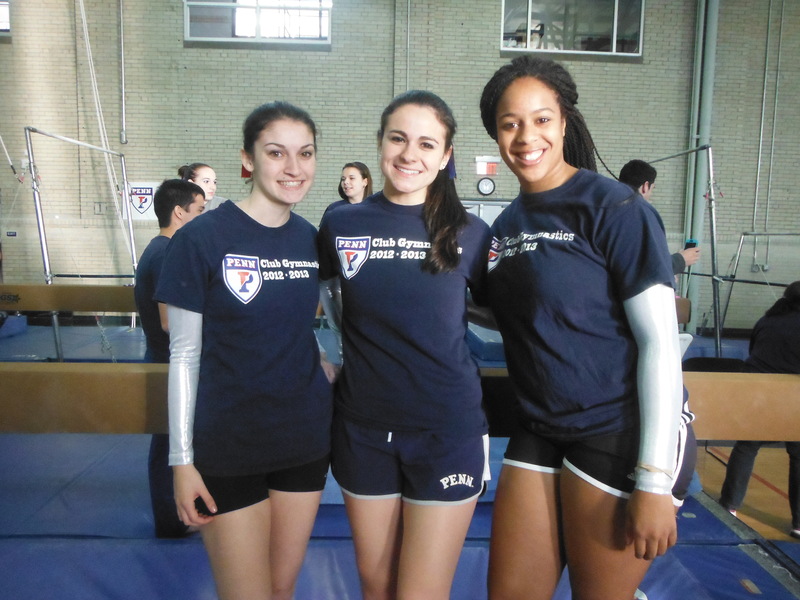 New members Caitlin Kaspar, Nikhil Nabar, and Sam Summer competed for the first time with PCG! It was Sam Summer’s first time ever competing gymnastics, and Caitlyn’s first routine since high school (she’s a grad student). Congrats guys! Our very own men’s team placed first all-around! It was the first meet held in our new facilities. What a great start to the year. Thanks so much to the PCG board for organizing the meet, especially President James Sui and Meet Coordinator Jill Shueckler. To all team members who came early to set up, flashed scores, and cleaned up afterwards- we appreciate you. We would also like to thank the PCG alumni who helped make sure things ran smoothly. Last but not least, thank you to all the teams who came and competed. 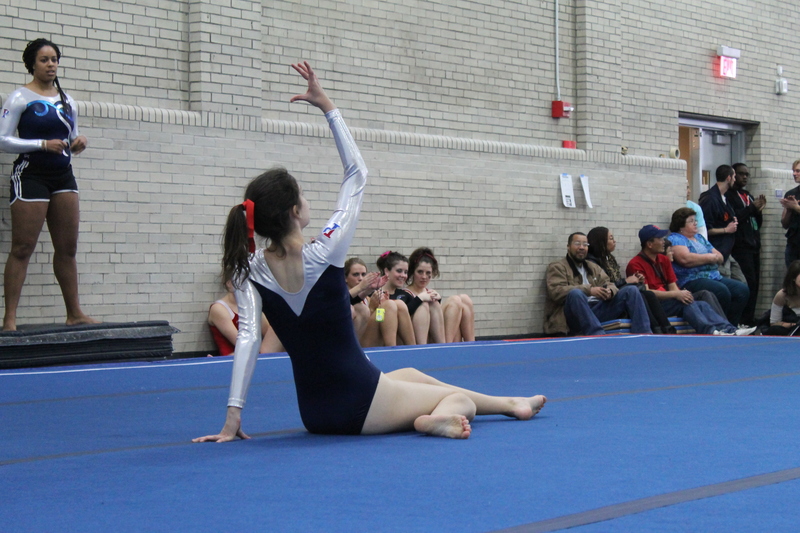 Club gymnasts keep the sport alive, and it’s great to see gymnasts from so many different ages and skill levels competing. Check out all the photos we took below, and stay tuned for the highlights video!